Dr. Orlando da Silva was born in Brazil and received his medical degree from the Federal University of the State of Minas Gerais, Brazil in December 1981. He completed his residency training in Paediatrics at Queen’s University, Kingston, Ontario, and his clinical and research fellowship in Neonatology at the Hospital for Sick Children in Toronto and at St. Joseph’s Health Care London in London, Ontario. He also received a Master’s degree in Clinical Epidemiology from the University of Toronto in November 1996. He is presently appointed as a Professor in the Department of Paediatrics, Faculty of Medicine and Dentistry at Western University and a teaching Staff Consultant in the Division of Neonatal Medicine at the Children’s Hospital at London Health Sciences Centre. As a practicing Neonatologist and clinical Epidemiologist his research interests stem from observations of the clinical problems encountered in the Neonatal Intensive Care and the Obstetric Perinatal Units. Over the past many years Dr. da Silva has contributed to the dissemination of Neonatal/Perinatal knowledge to many countries. 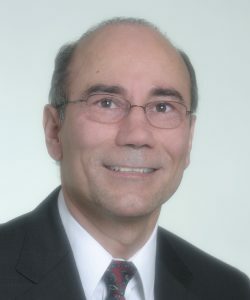 He has been invited to participate in numerous seminars, conferences, lectures in Brazil and other countries to bring advanced knowledge and latest research to a number of physicians/hospitals that would not have otherwise access to North American expertise in field of Neonatal/Perinatal Medicine. As a surveyor with Accreditation Canada Orlando has travelled to many health centers in Canada and abroad to ensure the delivery of quality safe health care to all patients. In 1992 he designed and implemented a Neonatal Database in the NICU at St. Joseph’s Health Care London (now transferred to LHSC) to capture all admissions. Dr. da Silva also plays an important role in a national neonatal database (CNN- Canadian Neonatal Database) as local representative and as a member of the CNN database committee. As his most recent accomplishment, Orlando led a team that successfully got funded to evaluate the role of a interactive online breastfeeding support website with the goal to increase breastfeeding exclusivity to 6 months of age in mothers delivering at term and in the neonatal intensive care unit.